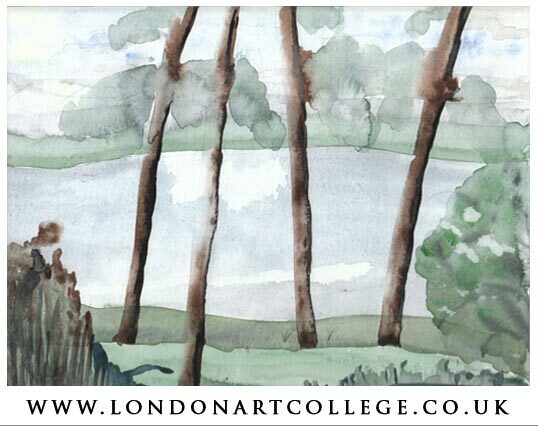 New Changes to the Watercolour Course…..
I’m Jan (Jan Nesbitt) and I’m tutoring the Watercolour Course again and making some hopefully exciting additions and changes in the form of new thinking, new writing with useful information, and exchanging existing examples of my work in the course with my most recent paintings. I’ll be talking about fresh techniques I’ve discovered and passing on these ideas that anyone can use, and then develop their own. We’re re – naming the course something like …. 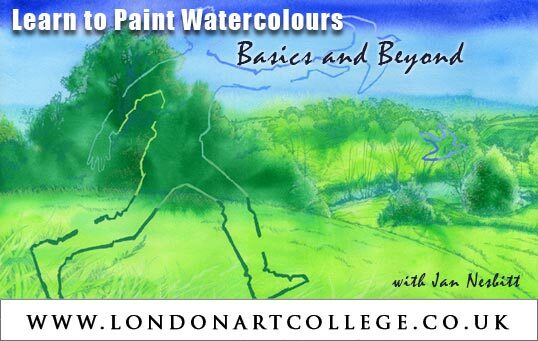 ” Learn to Paint Watercolours, Basics and Beyond with Jan Nesbitt ” ……. and it really will be a course that anyone can enjoy, at whatever level of experience or interest. 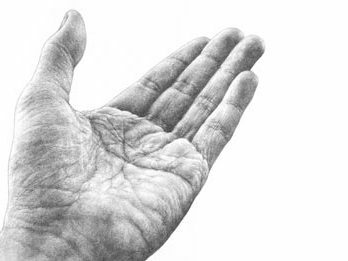 All the basics are there and clearly explained and demonstrated, as well as techniques and approaches for the more practiced or experimental person. 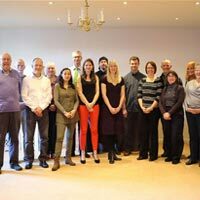 We hope you’ll enjoy the new and existing exercises as you progress through the course . 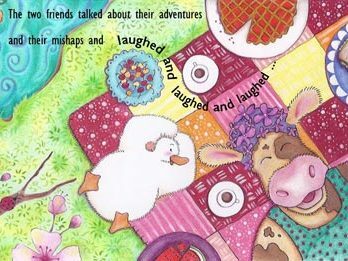 These ideas are built on the skills learnt and are practical, varied, and interesting with lots of room for your own unique interpretation. 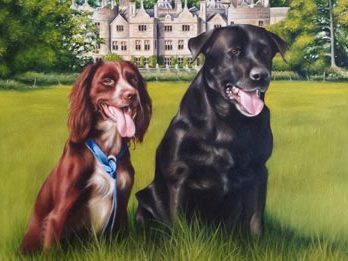 If you look at my biography under the tutors section on college website, you’ll learn more about me and my experience and see details from some of my paintings. I hope that I can help and inspire you as individuals to reach your full potential. We are all at various stages along the same path…. a fulfilling and rewarding one too! We will update everyone on the progress and when the new course will be available early next year. 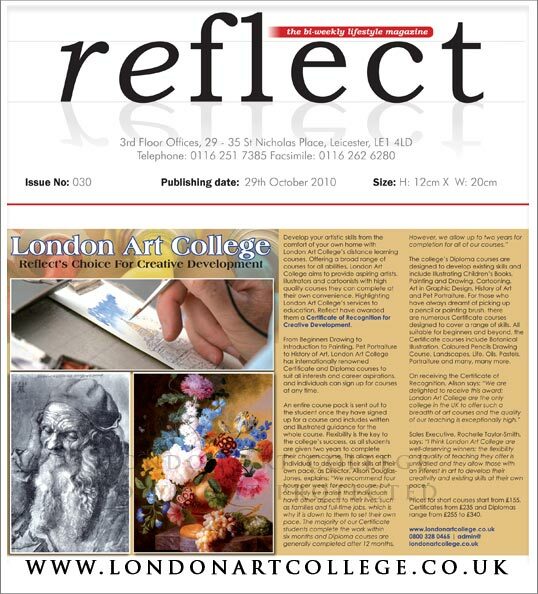 The London Art college have been presented an award by Reflect Magazine. Highlighting the College’s services to education, Reflect have awarded us a Certificate of Recognition for Creative Development and the article can be seen below. If you click on it, it will open in a new tab so that you can read the article. An interesting read! 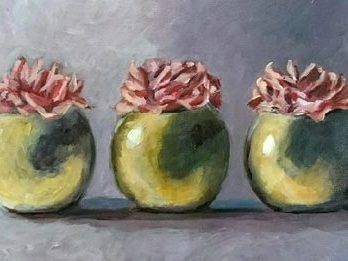 I am so pleased to be able to add this image to the London Art Colleges blog as this has to be one of my favourite images I have seen for a long time from one of our students. 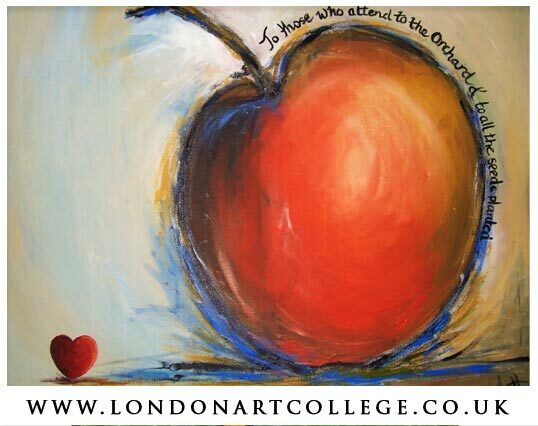 First of all you have the concept – the text, the heart, the composition and then you have the excellently painted apple with its background and finally the wonderful colours the student has used – the rich reds and the cool blues for the shadows. If I had created this I would be extremely pleased and I hope that the student is too! Well done! There are so many fantastic pieces of artwork coming through the college at the moment and this one is now exception. This is an absolutely wonderful life drawing study by one of our students and I think they should be extremely pleased with this. 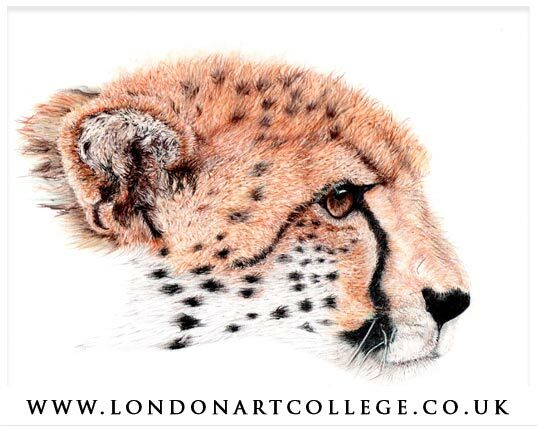 What can we say about this apart from a truly superb study of a Cheetah in coloured pencil – terrific! 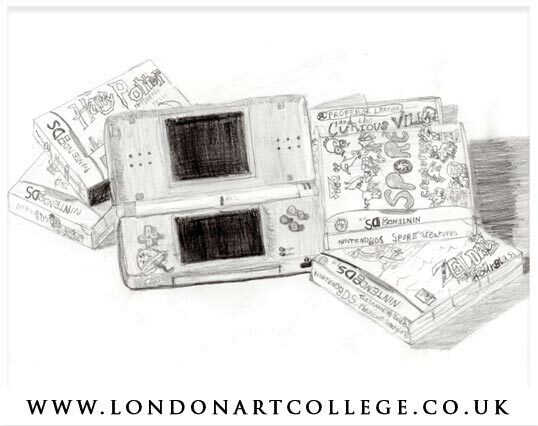 This drawing is from one of our students studying the Drawing for Children courses and the students are often asked to draw their games console or similar. 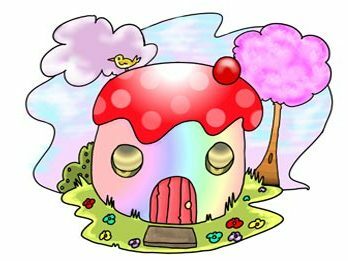 The challenge is so that the young artist can have the opportunity to draw something shiny to see if they can depict the different textures needed to give a shiny illusion to the object on paper. This student has done very well, the amount of detail in the actual games is fantastic! 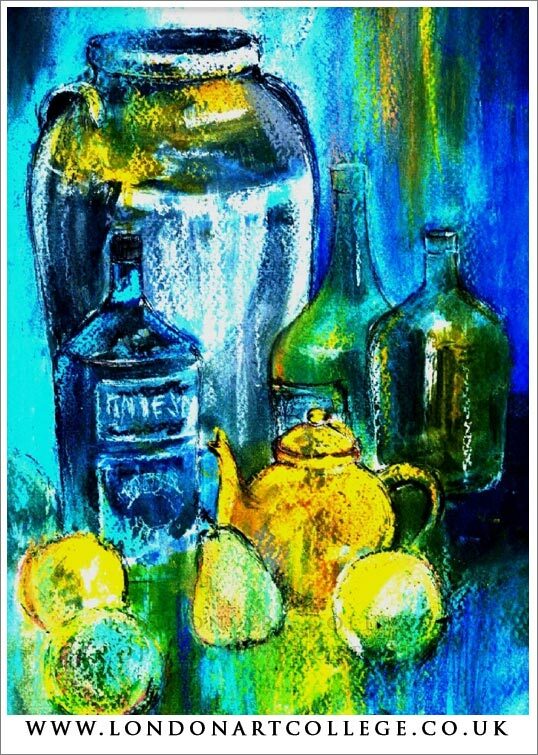 This is another lovely piece of work from one of our students and the overall colour scheme to this piece really catches your eye – all using blues and yellows. 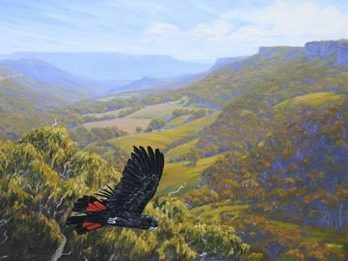 The shapes are very important in this piece along with the strong light and shadows. 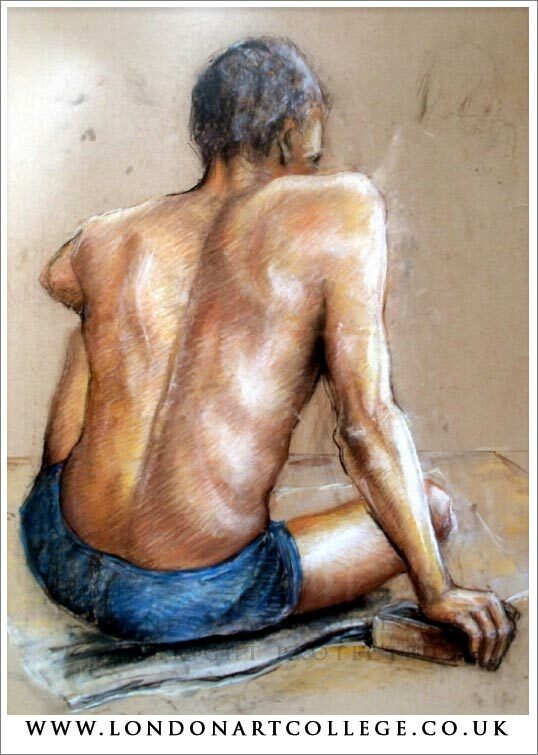 An excellent pastel piece. 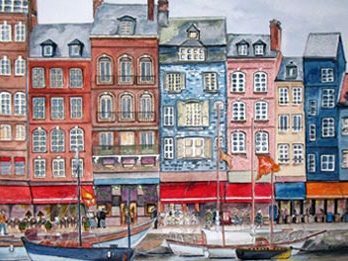 This painting has been completed by a watercolour student and they have used their colours well, almost a limited pallet and it really gives a lovely fresh feel to the scene. 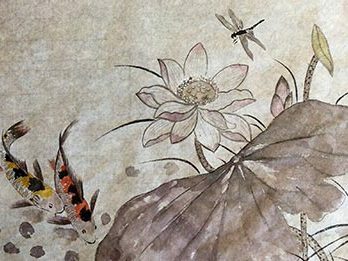 Their use of watercolour washes are great in the background, I hope this inspired everyone to pick up their brushes! 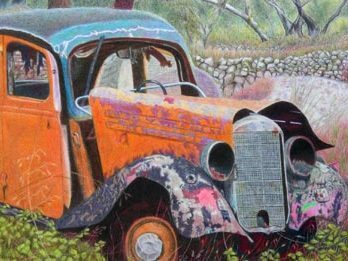 Often the most interesting things to draw are old, broken, scrap objects. They can prove to be very interesting with their rusty textures, shadows and shapes. 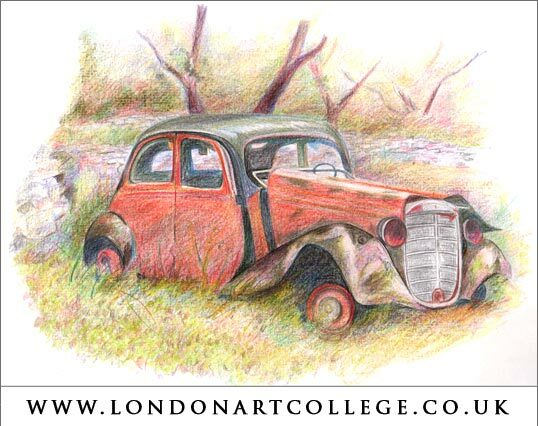 This is no exception, a student has drawn an old rusty car and rendered it in coloured pencil. Excellent job.